I was sitting down on this uber comfortable Barcalounger with a gigantic headphone over my ears. This ethereal voice was asking me to close my eyes, relax, think of something happy and form a picture of said happiness in my mind. Next thing I knew, I was being woken up from a deep slumber by an irate organizer saying, “Sir, it’s time to leave”. That was essentially my one and only encounter with meditation. Granted, I remember the soft cushions more than the meditative tribulations but, let’s go with the flow here. Why don’t you close your eyes and try to imagine a world on the verge of apocalypse. What’s going through your mind? A Nuclear war? Asteroid impact? A deadly virus outbreak? An alien invasion? Zombies?! Pardon the Hollywood-esque dramatization but let me paint a different picture instead. How about major cities running out of water completely? Reservoirs strained to near dead storage levels due to an onslaught of drought for years on end? Citizens forced to queue up for their daily quota of water at water collection points? Taps running dry? Re-using grey water to flush your toilets? Sounds far-fetched? Come on, that’s 50 years into the future, you say. Reality check, it’s happening right now. At this very moment, in Cape Town. That’s the capital of South Africa. Capital! In a very doomsday-like fashion, April 12, 2018 has been forecasted as Day Zero – the day when household water supply will cease completely because of water unavailability. It has taken only 3 years of drought to bring this prosperous and burgeoning city to its knees. With all its advancements and access to first world technical knowhow, a natural question to ask is why couldn’t Cape Town prevent such an acute water scarcity? Let’s turn to the Marathwada region of Maharashtra in India for some perspective. While the drought scenario is relatively new in Cape Town, Marathwada has geographically, always been a water scarce region receiving low monsoonal rainfall. Drought like conditions has been a common occurrence here for the past 10-15 years with a severe episode occurring in 2012 which still haunts the locals. 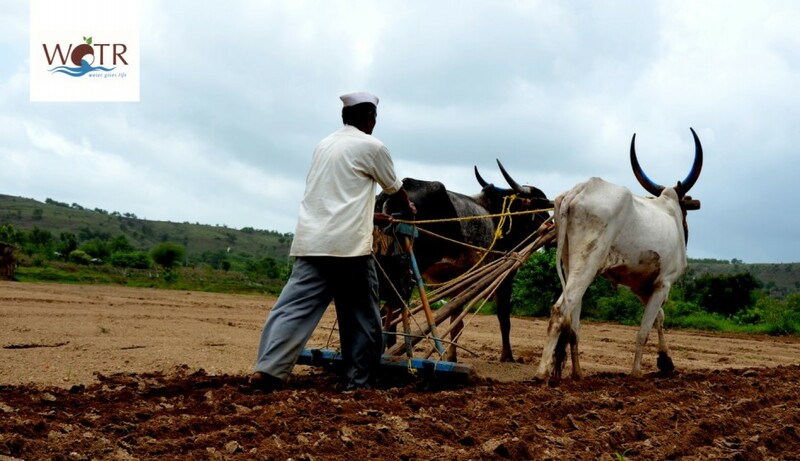 On top of this, the changing climate conditions has exacerbated the situation by causing a severe variation in the distribution of rainfall in Marathwada. You would naturally expect the community to adopt significant water harvesting measures to tackle such challenging conditions. The reality, however, is highly counterintuitive. Water intensive crops like cotton and sugarcane are sown in abundance as cash crops. Instead of harvesting rainwater, one can observe a severe exploitation of groundwater through the use of dugwells and borewells. As a result, groundwater levels have gone down faster than ever. Wells tend to dry up faster because of over-extraction. A common response to this is digging of even deeper and wider wells to meet their requirements. Farmers can be seen resorting to further exploitative techniques such as digging horizontal borewells. These are horizontal tunnels of approximately 3 inches in diameter which are dug through the walls at the bottom of the dugwells. They can be as long as 200 – 300 feet in length and tap into groundwater that normally doesn’t seep into the well. A single dugwell can have upto 5 or 6 horizontal bores so as to maximize the water availability. The water dynamics are further complicated by the way farmers prioritize and misuse available water. The crops are given the first priority to the extent that whenever some water collects in the well, it is invariably pumped out into the farmland without taking into account if the crops require water or not. This tendency of using water whenever it is available eventually leads to an overdependence on water tankers leading to unsustainable outcomes. The trouble with water is that it’s everywhere when times are good but nowhere when the chips are down. Scarcity of water manifests itself only until the last minute when there is hardly anything left to do like what is happening at Cape Town right now. That is you reach the point of no return beyond which you are incapable of rectifying the problem from within. Moreover, water being a shared resource, the onus is on us to make judicious use of it so that others are not inconvenienced by the lack of it. This concept is easy to understand but difficult to put into action. When was the last time you turned off your taps thinking about whether your nosy neighbour is going to be left with enough water? That is exactly what happens in agriculture as well. If there are three wells belonging to three different farmers which tap water from the same underground reservoir, more often than not, one of the farmers will begin exploiting it. This overuse will then trigger the same from the other two with the end result of a depleted reservoir and water scarcity. The same behavior led Cape Town dwellers to continue using more than the regulated amount of water for months till the Day Zero started looking very real. This was followed by the common response of blaming the government for failing to secure water for its citizens. This is akin to the farmers blaming the panchayat for not bringing in tankers to fulfill their needs. Naturally this begs the question as to what could be a reasonably well placed solution here. And that is exactly where WOTR’s Water Stewardship project sets very high ambitions on. It holds the community responsible for its water related inconveniences. While the project sets high standards on water governance in villages, it primarily looks at preventive measures to thwart water availability crises. Under water governance, village level laws such as ban on free lifting from water harvesting structures, limiting borewell depths etc. have been drafted and are being put into effect by gram panchayats. The laws are being enforced through financial repercussions to the offenders. Apart from this, water budgeting is an integral part of this project which looks at assessing the amount of water available in a village and planning corresponding cropping patterns to prevent a water deficit. On a different track, the project also looks at reducing misuse of water through increasing awareness about drip and sprinkler systems which use almost 50% less water than conventional flood irrigation techniques. It aims at inculcating a strong sense of ownership among the stakeholders and the idea that collective action trumps individual measures in tackling an issue as widespread as water scarcity. At individual levels we have taken water for granted for too long and initiatives like this can cause those minuscule one degree shifts that can bring about a sea-change in our attitude in the future. It would probably require the best traits of humankind to come together for the cause. Because in the future, water, after all, might not be everywhere you see.